Why do Republicans hate us? This simple fact is lost on conservatives. Actually, it is not lost. Conservatives willfully spread disinformation about Social Security. 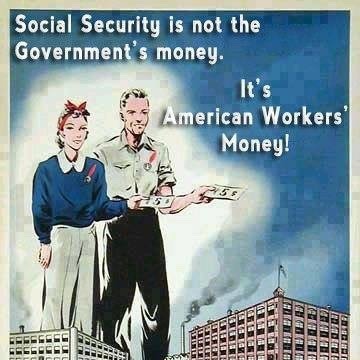 The almost 90 years of Social Security success and stability provided to hundreds of millions of Americans undermines the right wing belief that government does not work. That is why Republican presidents since Reagan have borrowed from the Social Security Trust, and the GOP have capped contributions at $118,500 of income. The Republicans will do anything to destroy Social Security. All GOP policies lead to cutting of benefits, retirement age, etc. The Republicans have NEVER proposed any policy to improve Social Security.